After the disappointment of the oddball 'Nokia 9 PureView', compared recently here to the Nokia 808 and Lumia 1020 (etc), Nokia (at least the new Nokia brand under HMD) has now announced another contender, this time with a more conventional PureView 48MP f/1.8 sensor - phew! 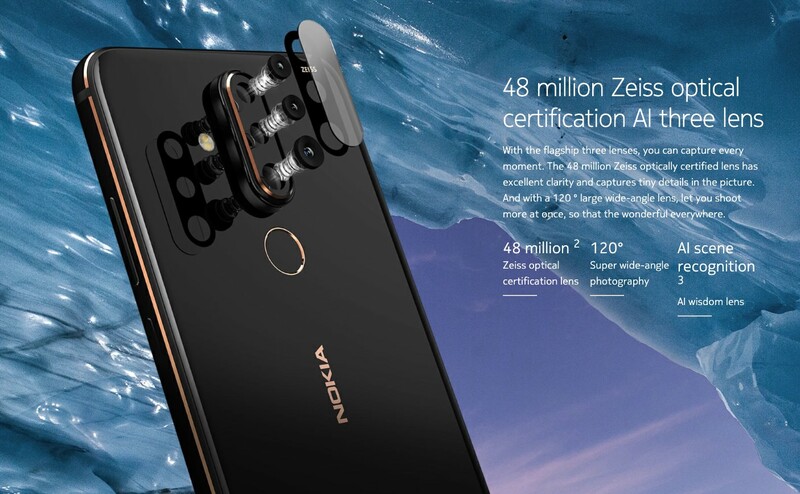 The X71 is only just shown in China and will probably arrive in Europe as the 'Nokia 8.1 Plus', in a few months time. But with 3.5mm jack, expandable storage and capacitive fingerprint sensor (all missing in the '9') as well, plus the single large sensor configuration (plus wide-angle), this possibly is the PureView phone you're looking to move to? Now this is much more like it. Every feature an ex-808 or Lumia flagship user might want, including a decent camera, wrapped up in a tough handset under the Nokia brand. I'll be first in the queue for whatever this becomes in Europe when it's available (I'm guessing June or July) and I'll report back. On the imaging front, the pixel-binned 12MP output should be close to what we associate with the old 'PureView' oversampled system, and there's also still the 2x lossless zoom, of course (the algorithms get round the Quad Beyer system with clever colour guessing at the pixel level). The only disappointment on the face of it is that there's no mention of OIS on that main camera, Lumia 1020 style, but then modern sensors and chipsets are now fast enough that unless light is very low indeed a large sensor like this may not need stabilising. So plenty of questions from my end, all of which will be answered in due course. Is it possible that 'optical certification' is a mis-translate from the Chinese for 'optical stabilisation'? Comments welcome - does this tickle you more than the Nokia 9 PureView, both from an imaging perspective and as a smartphone.